When optimizing your company’s website for search engine results, you may be wondering if backlinks help or harm your ranking potential. Backlinks, or a link to your site from another site, are almost always a good thing when it comes to getting your company’s website to the forefront of the search engine results, as long as the backlink is related to your topic or keyword. For example, let’s say a well-known blog mentioned your company or a product you manufacture specifically in one of their posts, and then linked directly to your store’s website. That kind of backlink is more powerful than a directory listing or an advertisement, because the blog’s loyal followers will trust your brand and be more likely to perform your call to action. Who Should I Get Backlinks From? 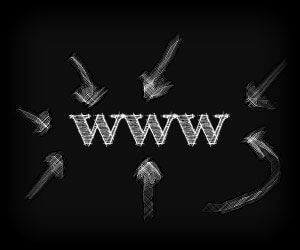 site that is backlinking to your own site. Highly-ranking sites that are either light on ads or completely ad-free are your best bet for a backlink, since they don’t come across as spam. It is also important to make sure that you are not backlinking to a page that is nothing but links, but is instead an article or blog post that is directly related to the nature of your business. For instance, if you own a high-end retail boutique, it makes no sense to backlink to a sporting equipment blog or an article about dog grooming. Keep your backlinks germane to the topic to generate more page views and inspire more consumers to buy your product or service. It also doesn’t hurt to scope out your competitors and see what they are doing in terms of backlinks. By making use of resources like Backlink Watch, you can get a list of backlinks to your competition’s site, and take a look at how effectively-placed those backlinks are. You may also be able to gain insight into which keywords your competitors are NOT using, so you can zero in on them and rank higher when a consumer types them into a search. What Do I Do With Negative Backlinks? If your site already has backlinks that are harming (or at least not helping) your search engine rankings, you can clean them up a little by asking owners of less-than-desirable websites to please remove your link. That is, of course, unless that site seems to be generating a good amount of traffic. You can also help improve your rankings by writing new website content with keywords that are not being used by your competitors, and use those keywords to ask high-quality sites for backlinks. Backlinks can be an extremely effective SEO tool when used properly. By using backlinks to your advantage, you can boost your company website’s SEO and improve your search result rankings for an incredible difference in your bottom line! For help with cleaning up negative backlinks from your website and building backlinks to help boost your SEO, contact Local Search Titan today for an SEO consultation!